It was slightly overcast on January 6, 2015 when I took the bus into downtown Puerto Vallarta. On this day I had planned expand my culinary horizon and I had signed up for the Downtown Puerto Vallarta Food Tour with a company called Vallarta Food Tours, an experience that combines local culinary treasures with off-the-beaten path explorations of the city, as emphasized by the company’s slogan: “Become a local in 3 hours”. I took the bus all the way downtown, walked across the Cuale River to the south side of town, the Zona Romantica. The meeting point for the tour was Pie in the Sky, a gourmet bakery that has been in business since 1985. The group of foodies was assembled here and founder Lindsay Prime, an American expat who hails from Colorado, and Ricardo, our tour guide, were waiting for us. Ricardo spoke perfect English because he had lived in California for many years. After the introduction Lindsay said goodbye and wished us a great day, and Ricardo, whose nickname is Lobo (the wolf), took over. We started walking along the cobble-stoned streets and our first stop was at Birreria Robles, a family owned food stand on Avenida Constitución that has been in existence since 1986. Ricardo explained that birria is a mutton stew with veggies that contains shredded goat and shredded beef that gets roasted slowly for four hours. Ricardo also gave us an insider tip to look at the line-up in front of a food stand. If it is long this is a good indication of the quality of the food on hand. Birreria Robles was totally packed – a great sign. Everybody got a good size sample to taste and everyone in our walking tour group was very impressed by this dish. 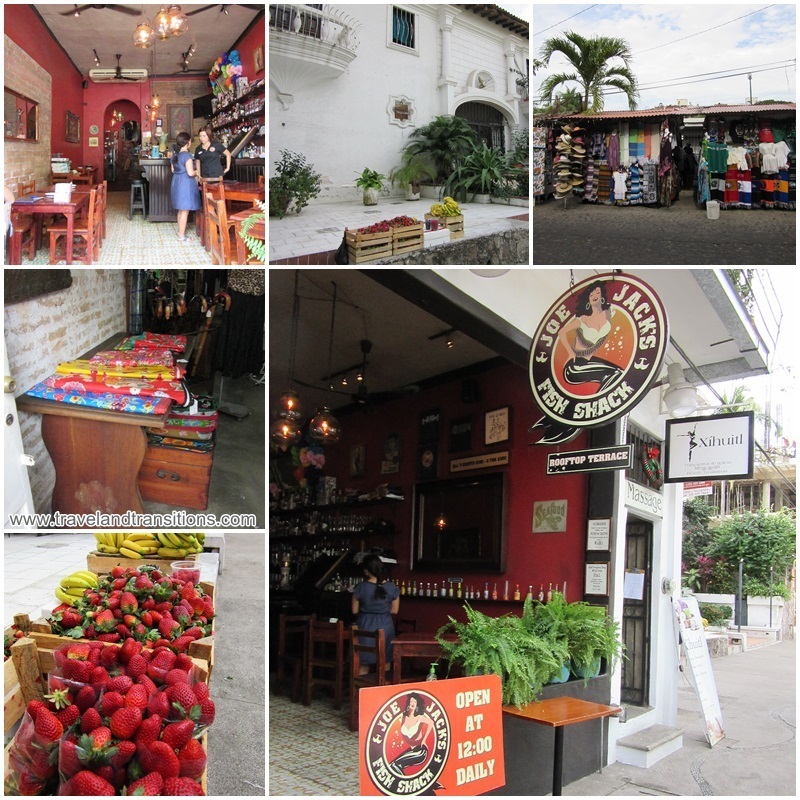 Then we turned onto Basilio Badillo, which is often referred to as Puerto Vallarta’s Restaurant Row or “La Calle de los Cafés”. 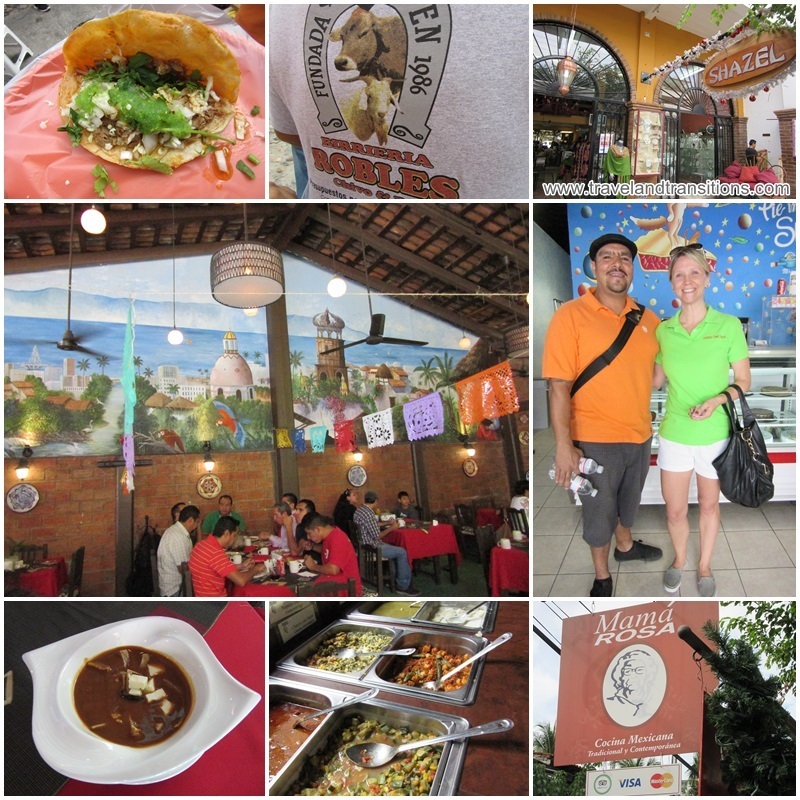 Ricardo took us to Mama Rosa, a popular eatery that serves traditional Mexican cuisine. The restaurant features an extensive breakfast buffet as well as a dinner menu. At Mama Rosa’s we got to sample a very rich and tasty Tarasca style bean soup that originates in the state of Michoacán. I also admired the huge mural of Puerto Vallarta that adorned the brick wall on the restaurant’s west side. Back out on the street the sun was starting to come out as we slowly walked by some of the popular restaurants here like Memo’s Casa de Hotcakes (the Mexican version of IHOP), Fredy’s El Toucan, Roberto’s 7 Las Margaritas, Asadero’s, Catedral, Fajita Republic, Las Cazuelas, Margarita Grill and more. Ricardo specifically pointed out Joe Bob’s Fish Shack, which serves whole Red Snapper with garlic and red pepper, as well as tasty chicken dishes, good burgers and beer battered fish. This restaurant has won awards for best value menu and best seafood. Restaurant Row is part of the Puerto Vallarta Food Tour. 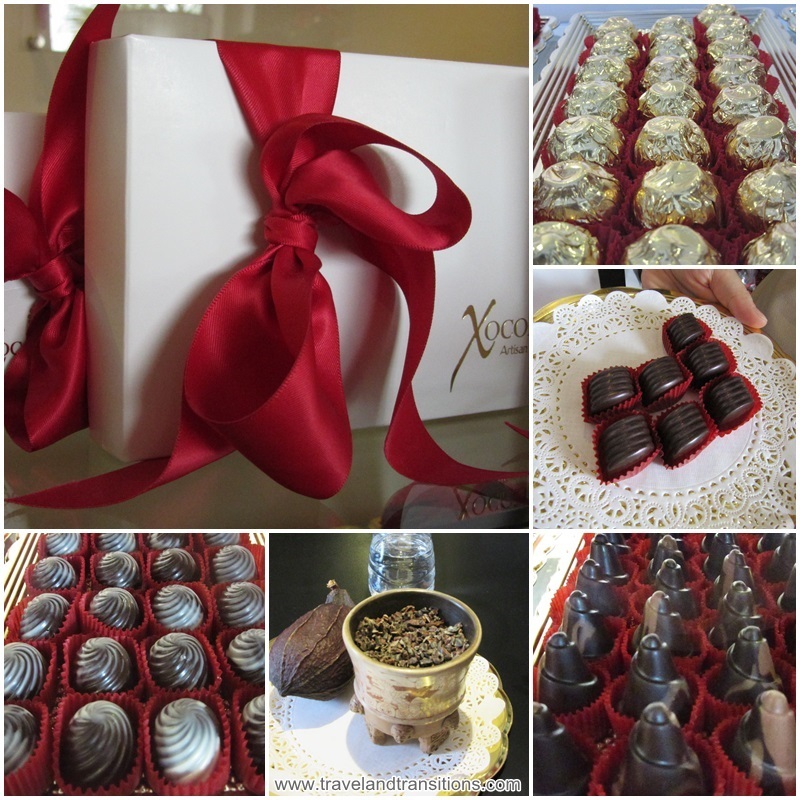 Continuing our stroll farther west on Basilio Badillo we reached XocoDiva Artisan Chocolates, a specialty store that sells chocolates, confections, as well as gifts. Founded by Canadian expat entrepreneurs Charlotte Semple and Carole Fast, this store has been tempting visitors since 2007. To give us a background on where chocolate comes from, Ricardo showed us a large cocoa pod as well as small pieces of cocoa beans. He explained that Xocodiva is where Europe meets Meso-America since the store blends Mexican chocolate with European chocolate-making traditions. Chocolate stems from the Theobroma cacao tree, a word that literally means “Food of the Gods”. The truffles that we got to taste were indeed quite divine. 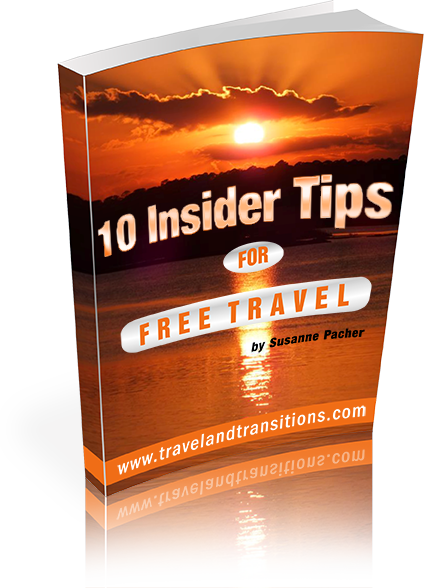 After this visit we started heading west, towards the waterfront of Puerto Vallarta where more culinary adventures were awaiting us.